People always ask me what cocktail I’ve ordered and what it tastes like so it’s started me thinking about the way we choose our cocktails, not our spirits so much. Obviously everyone has different tastes but most of us have flavours that we prefer and that’s what ultimately guides us. As I was flicking through the fairly unsurprising menu at Spoiled, I realised there was another answer which has to do with how clear the cocktail descriptions are. This bar has a very succinct menu concept called “cocktails & thoughts” which is very easy to read. 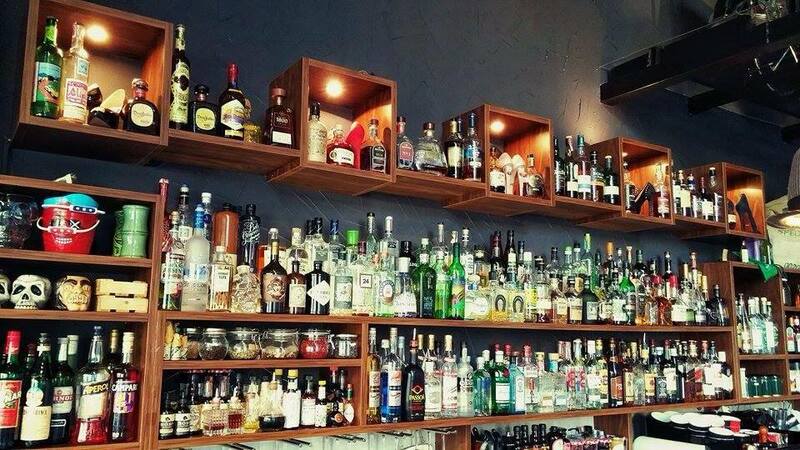 Yiorgos Kavaklis and his team (Chrysa Tsabou and Vayos Mylonas) have designed a truly customer friendly cocktail list which also happens to be easy on the eye. The cocktail categories and the descriptions mean that you have an image in your mind about what you’re about to be served. Even if I had never heard of a Tom Collins in order to be able to differentiate it from a London Collins for example, or had never come across Che’s Diarios de motocicleta with his amazing Ponderosa, I could still order my cocktails quite happily. All I would need would be the list of ingredients and simple descriptions: sour / bitter, sweet, sweet & sour or sweet and bitter. Truth be told the history behind every cocktail name is of no real interest unless you’re a bar geek. If you find yourself in that category, it doesn’t matter how well made your rum and “Louisiana aromas” cocktail is. You’d want to know the actual connection between that and the original rockabilly version of Susie Q in order to really enjoy your drink. I started my evening with a sweet and sour cocktail called “Didymo” (twin) made with passion fruit, lemon, coconut cream, Angostura bitter and two blends, one of rum and one ‘of Mexico’. The sweet and sour elements were balanced with the lemon cutting through the coconut beautifully. I moved on to a Boyne (Jameson, pear shrub, Havana Essence of Cuban honey, rose geranium and soda), which suited me fine as I love sour and bitter drinks. I skipped the ‘Why so Serious’ with tequila and retsina syrup which is now served in a much more classical manner and continues to be one of the most popular drinks on the menu. I left with the impression that Spoiled is a very good bar and one that’s always improving if this and our previous visits are anything to go by. Another sign of things to come is the creation of ‘The Lab’ across the street. An open workshop where chef Haris Nikolouzos (Dionysos) will prepare dishes for the upcoming food pairing themed nights.